Separate from my personal B/S/T thread, I was hoping a C&C piece exchange might be useful / feasible. This would be much like the C&C exchange that Mattel sponsored at their 2010 NYCC event. Forum members can post a list of their haves / wants in this thread so members can search all in one place to find that missing piece to their C&C figure. With a few exceptions (Giganta Head/Waist, Gorilla Grodd Head/Waist, & Solomon Grundy Left Arm), most C&C pieces are of comparable value, so hopefully a one-for-one exchange will work for anyone who can find a match with someone who has a piece they need for one they are willing to trade. the pieces you want in exchange, including name & piece. *** For ease of use by C&C hunters, please do not post non-C&C parts or non-C&C figures to this thread. If you want to open up trades to your other items, please list your C&C pieces here and include a link in your post to your B/S/T thread. Your cooperation is sincerely appreciated as this well assist everyone in focusing on the hunt for much needed C&C pieces. Let's build some C&C figures! Last edited by hrothgars; 04-01-2012 at 12:54 PM..
My other available trade items are here. Last edited by hrothgars; 04-29-2013 at 10:54 AM..
Last edited by thechris; 02-15-2012 at 03:48 AM..
Just post what you have on hand to trade and what you want and I'm sure you can work out your deals via PM depending on who you're trading with. Someone will PM you if they have what you want. Like all of these, if you don't have something they want, then offer cash, figures, etc. ok cool. i just wanted to make sure it was goin to be ok to post here. 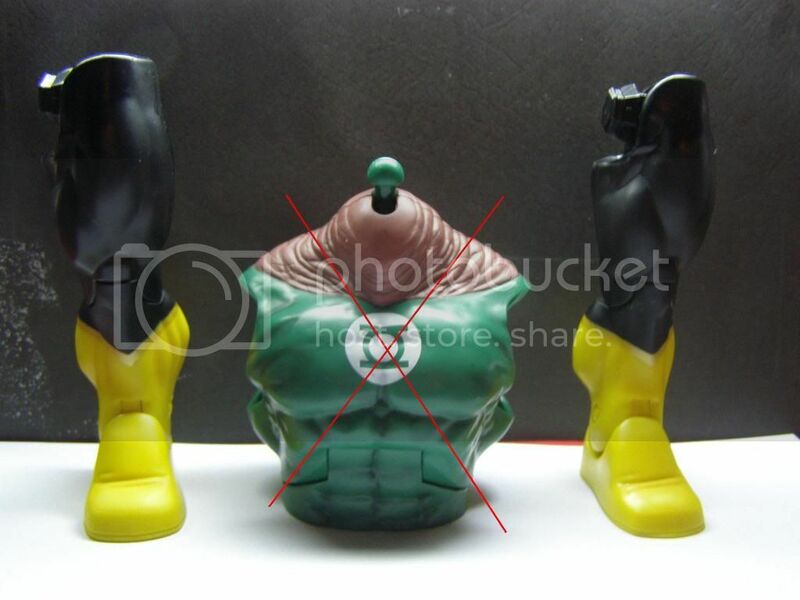 Have kilowog parts and looking for metamorpho's clear leg that came with red tornado. Willing to trade parts not just for other parts, but for figures (In good condition naturally) too. 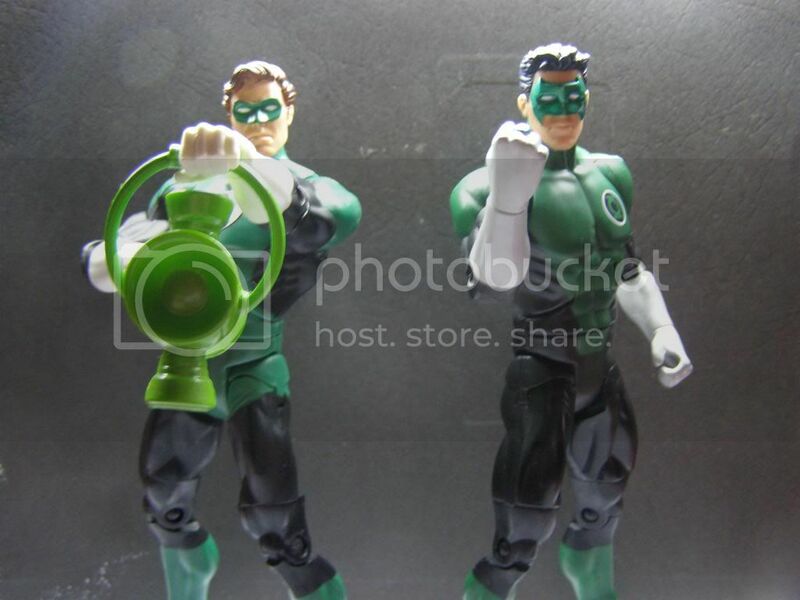 Opened but mint: Metallic Hal Jordan from the Sinestro twopack, Khomandi (? ), Negative Man (? ), Robot Man, Forager (?). Hmmm, there's a lot of parts I need on here. Actually, this is to replace an accidental message I posted. LOL. It was intended as a PM. I completed the Bane figure, and am still deciding whether or not to keep him. I wanted to do some sort of Batman: Knightfall Broken Bat tribute, but if someone wants to buy him, PM me with a reasonable offer. Here are some of them for sale on eBay. Last edited by DogFashionDisco; 08-30-2011 at 09:56 PM.. This is what Tiberius and I, The M3T4L V1KING, have to offer. Also willing to trade these figures here for a desperately needed C&C piece or two. What you see in the pic is what you get. 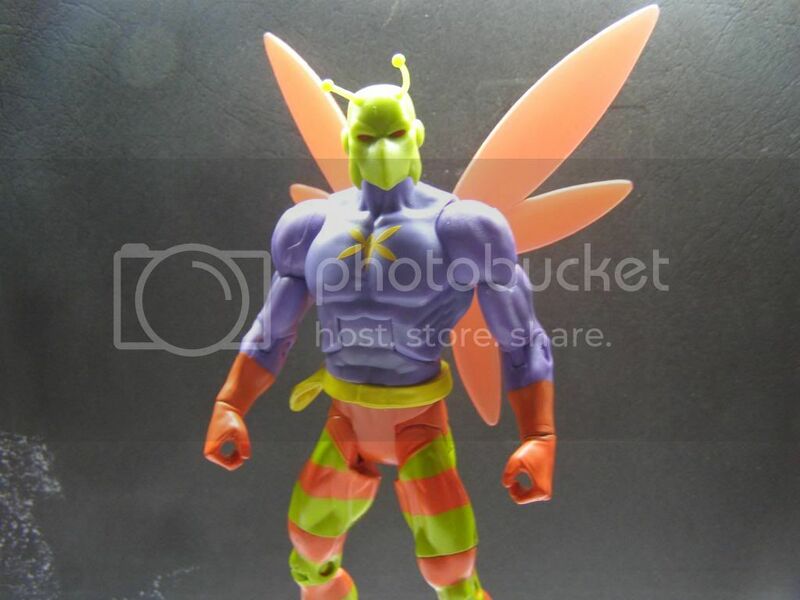 For example, Killer Moth doesn't have his gun in the picture, that's because he doesn't have them. I've also thought about keeping the Hawkman, feel free to make an offer for him though, if it's a decent enough offer I may accept. Last edited by M3T4L V1KING; 12-07-2011 at 05:07 PM.. I have the left leg of ML Galactus, as well as an arm from ML Onslaught. Looking for the Waist, torso, head, and both arms of Arkillo. Damnit, DogFashionDisco! Ship to Canada! If I'd known anyone from here would be interested I would have added Canada (only a day left, so they won't let me edit the auction options). I put those up for sale before I found out about this thread, sorry guys. I hate eBay scalpers so I listed them inexpensively, so if somehow it lets you bid than go ahead my Canadian friends, I'll just charge maybe a dollar or so more for shipping. 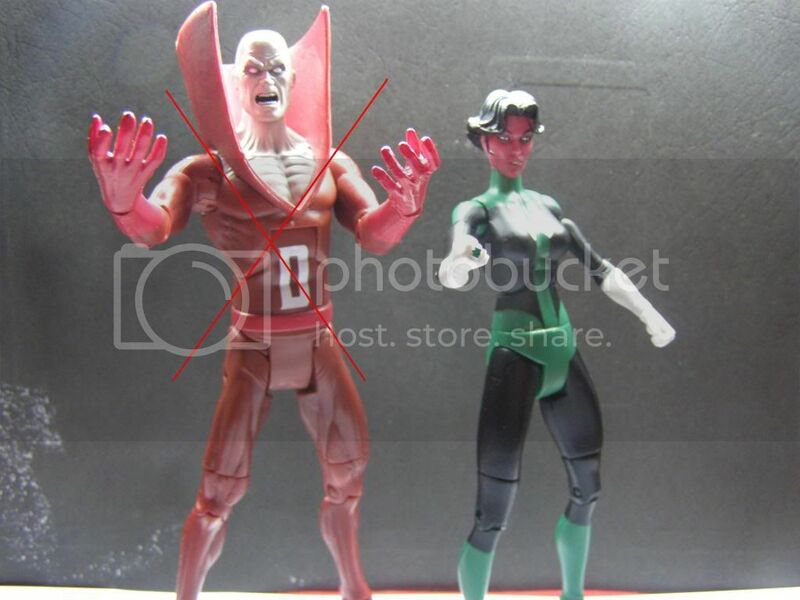 *edit* I still have the Despero arm, Darkseid's parts, and STEL's legs. If anyone needs them just hit me up. Last edited by DogFashionDisco; 09-21-2011 at 02:10 PM.. Reason: I no longer have some of these parts. That would be Despero's arm btw. Last edited by M3T4L V1KING; 08-31-2011 at 09:17 PM.. Since we're also including Marvel Legends, I have a complete BAF Galactus for trade as well as the left leg of Kilowog and the Left and Right legs for Validus. I personally would like to only see DC C&C connect parts on the thread, and another made for ML. That's just me though, I am weird. I feel the same way personally. Also, for the sake of the integrity and use of the thread, please do not post non-C&C parts or non-C&C figures, comments, or messages that could otherwise be handled via PMs to this thread. (Nothing personal to any of you guys, it will just make this thread much easier to use for folks seeking C&C swaps! ) If you want to open up trades to your other items, I might suggest listing your C&C pieces here and include a link in your post to your regular B/S/T thread. Your cooperation is sincerely appreciated. Thanks to everyone for participating and contributing so far! Last edited by hrothgars; 09-01-2011 at 08:33 PM..
You know what? BUMP. Yeah, that's right. I saw some updates on the page (my updates too of course) and decided that people should see this page again. Lots of people probably don't even know this page exists. But this is one of the pages (Along with the ML pieces) that should be on the first page of the B/S/T all the time. That's what I believe anyways. Last edited by Autobot_Goldbug; 09-30-2011 at 08:23 PM.. 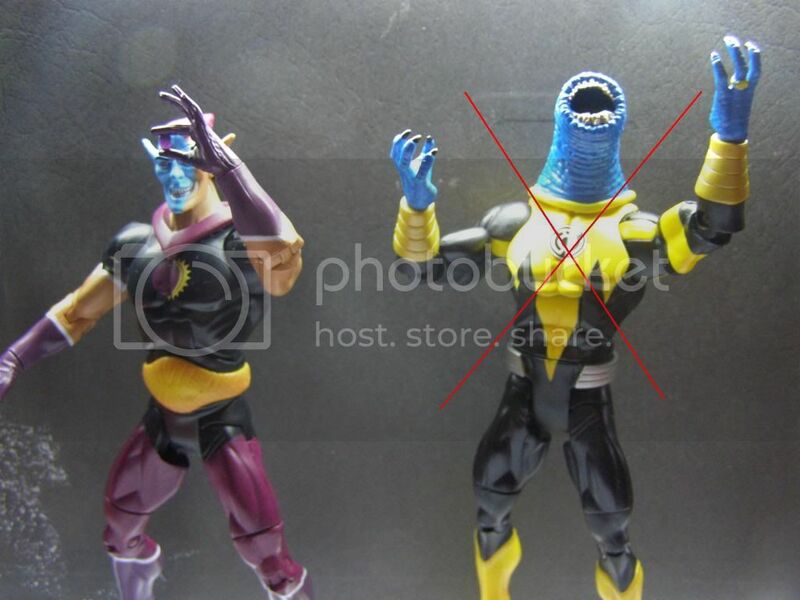 Behold, DCUC Wave 19 S.T.R.I.P.E.